If I could pick which spiritual gifts I was given I would choose them all. I want to do everything be good at everything and I don't want to miss out on anything. Perhaps you feel the same? But in all truth - it's good that we are different. We can exude gifts such as knowledge, trust, and charity but if our motivation is anything but love - we are nothing. God's words not mine. We have different spiritual gifts from each other but their source is the same. God. He knows our limits, our temptations, and our desires. Our spiritual gifts may be different but we ALL share in the privilege to share the gospel with others. BUT the way we each share Jesus' love with others will certainly not be done the same way. We cannot do it ALL and God doesn't expect us to. Our brothers and sisters in the faith are not our competition but our team to cheer and build us up to make it home in the end! 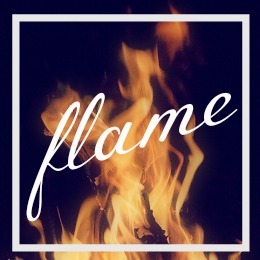 I hope you enjoyed our third online bible study from the series Fan Into Flame. ***If you use the bible study in a group or share it with another please give source credit to me and the blog. Thank you! Click here to join our private online bible study Facebook page and join the chatter throughout week! If you want to be a part of the bible study I highly recommend being a part of the Facebook group where we get to know you more and be mutually encouraged! The Facebook group is private so any information that you share will be seen only by those allowed in the group. There is no one exactly like you. Not even the Myers-Briggs test can pin you down. God planned you. He planned for you to be alive during this very moment. You - your gifts - are important to the Lord and his kingdom. Don't worry. You aren't going to answer any multiple choice questions like those teen magazine quizzes to narrow down your spiritual gifts. Not yet. There is something more unique and important to you that comes from God. The gift from which all gifts come from. The gift above all gifts. Faith. Open your Bible to 2 Timothy chapter 1, the basis of our bible study. Paul wrote his second and last letter to young Timothy while he was in prison. Timothy likely felt discouraged with Paul being in prison and afraid to speak out about his faith. Paul reminded Timothy that his faith was a gift of God and should not be hidden in fear. To print off the bible study click here. I hope you enjoyed our first online bible study from the series Fan Into Flame. Join us next week as we study how the Spirit of God is powerful in our lives.